Visit downtown Trenton and their unique businesses and eateries on Saturday, December 2nd! Many businesses will have open house, refreshments, special discounts and door prizes! And, enjoy the annual parade down Main Street starting at 3 PM. Elkton Bike Night kicks off Thursday, May 3, 2018 on Historic Public Square in downtown Elkton and will go through Thursday, October 4th. Join us on Elkton's Public Square for business sales restaurants specials, food and other vendors, and music on the radio. Every third Thursday night, join us for Music with Clay Bilyeu. Even if you don't have a motorcycle, come visit us in historic downtown Elkton for good food and good friends! Elkton Bike Night kicks off Thursday, May 3, 2018 on Historic Public Square in downtown Elkton and will go through Thursday, October 4th. Join other motorcycle enthusiasts on Thursday nights on Elkton's Historic Public Square for business sales restaurants specials, food and other vendors, and music on the radio. Every third Thursday night will feature Music with Clay Bilyeu. Even if you don't have a motorcycle, come visit us in historic downtown Elkton for good food and good friends! The Todd County Chamber of Commerce is sponsoring the annual “Bale Trail” across Todd County starting in September and going through October. 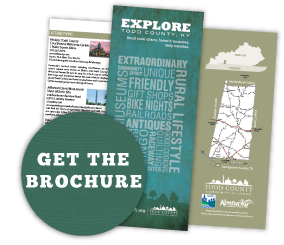 The Chamber encourages you to “Explore Todd County” and the Bale Trail is a great way to start your journey! Visit the Bale Trail Page for Google map and printable map and listing of the Bale Trail displays. 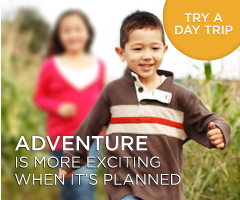 Contact the Chamber at info@toddchamber.com or call the Welcome Center at 270-265-7070 for more information.